This summer, a Kansas City man named Edwin got a call from immigration officials. They had picked up his nephew at the southern border and wanted to release the teenager into his care. So Edwin went online and bought a bed. Later that week, he was contacted again, this time by an Immigration and Customs Enforcement detective who knocked at his door. The agent gave Edwin a letter saying he needed to come to headquarters for an interview about three federal crimes: conspiracy, visa fraud, and human smuggling. Across the country, people like Edwin who have taken in young undocumented relatives are being swept up in what ICE calls a crackdown on guardians who pay human smugglers. More than 400 people were arrested over the course of two months this summer as part of the new approach. Others are still dodging ICE interviews, have agreed to go through deportation proceedings or have gone on the run. Some of those affected admit that they paid "coyotes" to reunite them with their young children. But many are collateral damage: People who just happened to be in the house when ICE showed up, or relatives who agreed to take in teens after they traveled to the United States on their own. 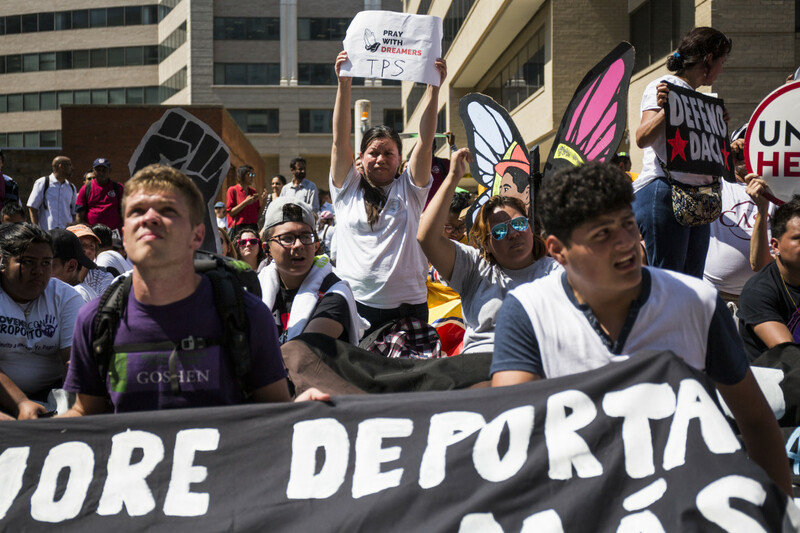 "The message is getting out: Don&apos;t sponsor someone if you&apos;re here illegally, or you&apos;re going to get in trouble," said Claude Arnold, a former ICE Homeland Security Investigations special agent who supports the new policy. "The idea is to have a deterrent effect, so when a teenager says, "Uncle, I can pay my own way, but can I stay with you?&apos; the uncle is going to say, &apos;No way.&apos;"
Edwin, who asked that his last name be withheld because of possible pending criminal charges, has been living in the U.S. for more than 15 years and says he never paid anyone to help his nephew cross the border. He points out that he has done everything by the book since emigrating from El Salvador to Missouri in 2001. 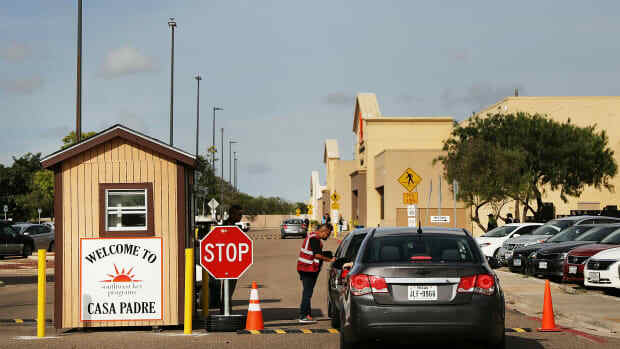 He immediately got a job at a dry cleaning company and obtained Temporary Protected Status, which allows him to live and work in the U.S. so long as he keeps a clean criminal record. He doesn&apos;t follow the news and didn&apos;t know he was risking deportation by agreeing to take in his nephew. But he said it wouldn&apos;t have mattered; he couldn&apos;t have refused to welcome his sister&apos;s son. "My nephew is grown and he makes his own choices. Everyone pays their own way. But he&apos;s my family and it&apos;s my duty to take him in," Edwin said. Edwin&apos;s nephew Wilbur lived in Kansas City with Temporary Protected Status himself as a child, but his parents decided to take him back to El Salvador when he was six. He said he made up his mind to return to the U.S. after graduating high school this spring because he felt threatened by gangs. Wilbur took a bus across Guatemala, traveled through Mexico by pickup truck, then crossed into Texas in the back of a tractor trailer a month before his 18th birthday. He was picked up almost immediately by U.S. officials. About 90 percent of minors detained at the southern border are eventually turned over to a family member. 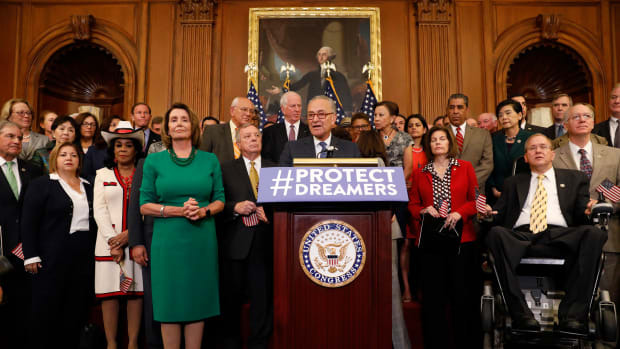 It&apos;s a system intended to spare the state from having to take care of children, and allow young people to live in normal homes while their visa and asylum claims work through the courts. Trump administration officials say it&apos;s less of a policy change than a commonsensical return to the enforcement of existing immigration laws. In a February memo, then-Homeland Security Secretary John F. Kelly said that, while all immigration laws should be enforced, it&apos;s especially important to go after people "directly or indirectly" involved in smuggling, because the journey north can be so dangerous for children. A couple living in New Mexico fled the state after ICE agents turned up in August asking about a nephew they had recently taken in. They told their attorney that they hadn&apos;t even known the high school junior was on his way up from Guatemala. For now, Edwin is ignoring his summons. 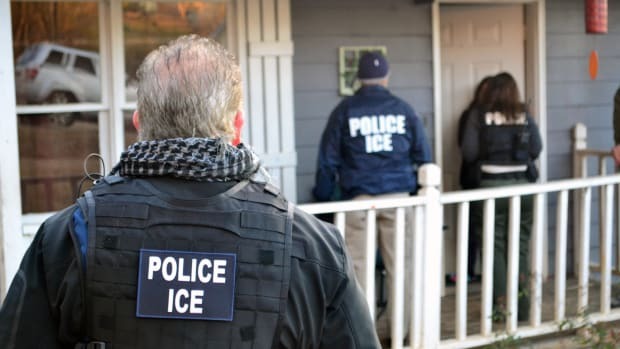 He said that, when he failed to appear at ICE headquarters, an agent responded by going to the dry cleaner where he works to review his employment verification papers. He is hoping the agent loses interest, but no longer feels like he knows what to expect. "I&apos;ve been here more than a decade and I&apos;ve never had a single problem with the authorities. Now, it&apos;s like the government is changing everything around," he said. "Now, everything is dangerous." This post originally appeared on ProPublica as "Relatives of Undocumented Children Caught Up in ICE Dragnet" and is republished here under a Creative Commons license. A lawsuit alleging that immigration authorities infiltrated a Vermont-based advocacy group could have national ramifications.